Rocks and mud close A83 to drivers Jump to media player The A83, the main road between Glasgow and Argyll, is closed after a landslip of 100 tonnes of rocks and mud. 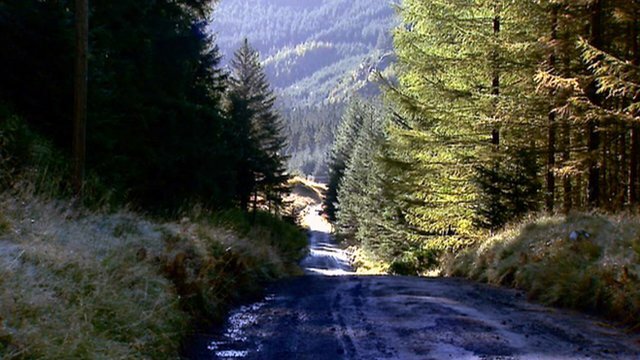 A83 'old military road' to reopen Jump to media player Work is underway to reopen an old military road which could ease traffic problems on the A83 at the Rest and Be Thankful in Argyll. 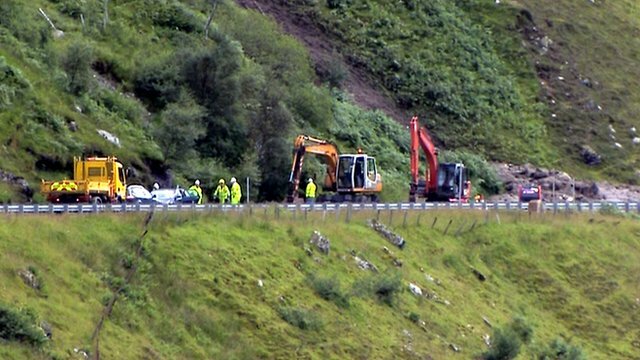 A83 landslip 'not safe to clear' Jump to media player Engineers are assessing the affects of a landslip which has closed the A83 near the Rest and Be Thankful in Argyll and Bute. 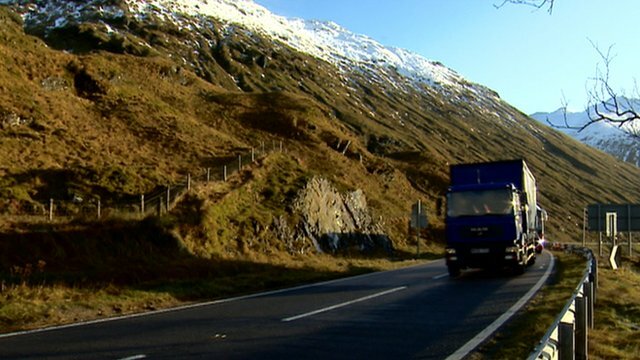 Call to upgrade Rest and Be Thankful Jump to media player People in Argyll are calling for the A83, the main route from Glasgow to the Mull of Kintyre, to be upgraded. 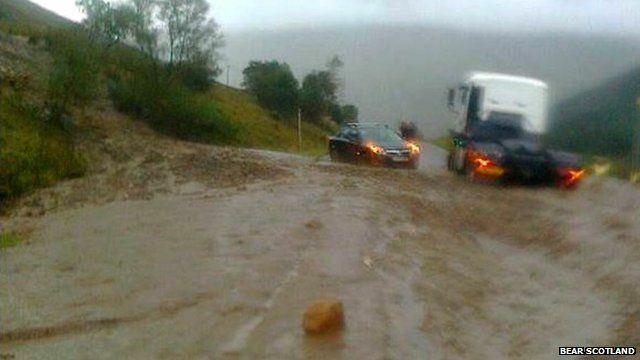 The main road between Glasgow and Argyll has been closed by a landslide again. It is the seventh time in five years that the A83, near the Rest and be Thankful, has been forced to shut. Heavy overnight rain washed about 100 tonnes of rocks and mud down the mountainside on to the carriageway. Drivers have been facing a long diversion. BBC Scotland's Catriona Renton reports from Glen Croe near Ardgarten.